Our senior leadership team is comprised of restaurateurs, culinary professionals and foodies who embody our Passion Principles and believe in the importance of local restaurants. We call ourselves the food travel experts and are passionate about bringing a “taste of place” to airports throughout North America. As the CEO of SSP America Michael’s top priority is to provide the resources needed to ensure associates deliver on the SSP promise of providing a memorable culinary experience for SSP America guests. Michael is focused on creating career opportunities for team SSP America due to the company’s continued financial growth and stability. Michael and his team share an incredible passion for food, a desire to create innovative environments and a drive to deliver an exceptional customer experience one guest at a time. A recognized leader in the food service industry with a passion for leading corporate growth, Michael is a veteran food service professional dedicated to culinary innovation, operational improvements, driving standardizations and aligning strategies with the overarching business goals. He has earned a reputation for his executive acumen, customer experience strategies and solutions to increase sales, while also maintaining a positive accord with labor organizations. Prior to joining SSP America Michael served as chief executive officer for Eurest Dining Services, a division of Compass Group and a leader in large-scale employee dining services for major global corporations. Notable for their operational complexity on expansive campuses in multiple facilities; peak rush hours and quick-service mandate, Eurest culinary programs include dozens of proprietary, local and national brand concepts on each campus. Michael was responsible for $1.3 billion in revenue, 16,000 associates and more than 1,400 locations. 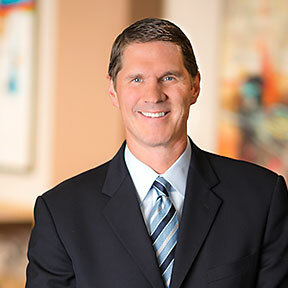 Michael also held a variety of increasingly senior positions for Morrison Healthcare, also a division of Compass Group, culminating with his appointment as president of the company. Michael provided leadership and strategic direction to operations, marketing and sales teams. He was responsible for the company-wide operating budget in excess of $1.1 billion, with revenues of more than $850 million and a total of 48,000 associates. Roger Worrell is the Chief Financial Officer and is responsible for over $600 million of revenue generated across SSP’s U.S. and Canadian divisions. Roger oversees all financial elements of the company, including finance, accounting and treasury. Roger also manages the information technology department, ensuring well-organized support for the company’s operations. Roger boasts over 20 years of experience in managing financial operations and directives in two different countries. He joined SSP America in 2008 following 14 years with SSP’s operations in the UK. His last position on leaving the UK was Chief Financial Officer of the UK division which included 300 units on railway stations, Harry Ramsden’s (famous Fish and Chips), Millie’s Cookies and Rail Gourmet. Prior to joining the SSP family, Roger held senior finance positions at Chestermark PLC, Europcar, and Tower Records in the UK. He holds an MBA from the University of Warwick Business School and a Master of Science Degree from the University of York. Pat Banducci is a seasoned hospitality and travel retail industry executive with a twenty-year career leading successful operations, business development and financial teams. As the Chief Operating Officer, Pat is responsible for overall service and product delivery as well as the operational excellence of SSP America’s restaurants located throughout North America. 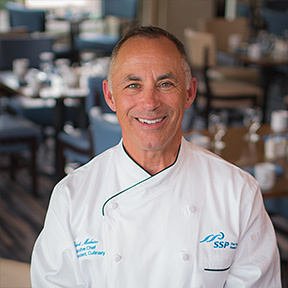 He leads the implementation and execution of operational initiatives and training programs to create both the structure and staffing resources necessary to support SSP America’s continued growth and commitment to creating extraordinary culinary experiences for its guests, while developing lasting partnerships with our airport clients. Prior to joining SSP America, Banducci was the principal of Airport Hospitality Advisors, a travel dining and retail consultancy that provided strategic business development and operations advice to concession and restaurant companies in airports. SSP America was one of the firm’s clients, where Pat handled a variety of complex business development projects for the company. Pat was previously Executive Vice President and Chief Operating Officer at HMSHost. Pat led operations for Host’s $2.4 billion operation and was responsible for over 20,000 employees at 1,900 restaurants, bars and cafes across North America. 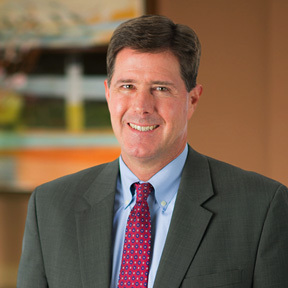 Prior to his COO role, Pat held a series of increasingly responsible positions with Host in operations, finance and business development and ultimately leading Host’s business development group from 2007-2011. Banducci was also a financial analyst for Tandem Computers, a Silicon Valley-based mainframe computer manufacturer and commercial loan officer for Bank of America in San Francisco. Pat has a Master of Business Administration from the Fuqua School of Business at Duke University and a Bachelor of Science in Business Administration from the University of California at Berkeley. 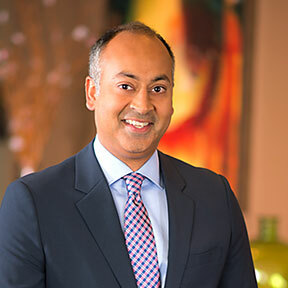 As General Counsel Jag Singh provides leadership to the business as the primary legal advisor to the company’s senior management and board of directors. In his role as General Counsel and as a member of the leadership team, Jag advises on all legal matters including major domestic and international contracts and transactions, and matters relating to joint ventures, corporate governance, licensing, as well as oversees litigation. Jag is considered a highly effective and practical transactional attorney with over 15 years of diverse experience in various fast-paced environments. 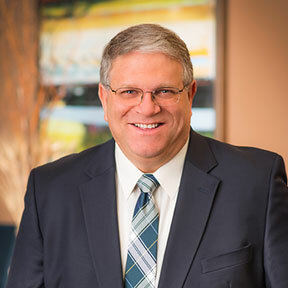 Prior to joining SSP America, Jag was a partner in the Corporate Group at Venable LLP in Washington, D.C., where he primarily focused on mergers and acquisitions, corporate finance, commercial agreements and general corporate representation. In this capacity, Jag spent considerable time counseling clients in the food-service industry in the commercial and governmental sectors. Jag holds a Bachelor Degree of Business Administration from the University of Richmond and a Juris Doctor from the Villanova University School of Law. Pat Murray is the Executive Vice President of Business Development and is charged with developing and growing the company’s portfolio across North America. He exemplifies and inspires a passion for food, a commitment to quality and a zeal for hospitality. Pat has been an instrumental force in realizing SSP America’s vision of providing food service with a comprehensive ‘restaurant mentality’ to a large and growing diversity of airport partnerships. His leadership, innovation and strategic approach have been integral to winning and extending numerous airport contracts, and leveraging SSP America’s reputation and experience as the premier food and beverage provider in travel locations through the oversight of its marketing, public relations and communication efforts. Pat’s background in restaurant management and concept development prepared him well for the multi-discipline environment of the food and beverage travel arena. 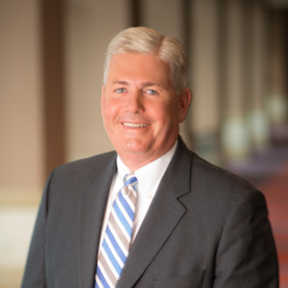 Pat began his hospitality career with Al Copeland Investments at Copeland’s of New Orleans where he rose through the ranks from entry-level manager to Senior Vice President of Operations. During his 14-year tenure with the organization, Copeland’s grew from 8 restaurants in 3 states to 55 restaurants in 13 states. Pat then served as Director of Concept Development at HMSHost before joining SSP America. Pat holds a Bachelor Degree in Government, U.S. Foreign Policy from Cornell University. Lieske Renz is an accomplished human resources practitioner responsible for building a strong talent pipeline to support SSP America’s customer service promise and growth expectations. She also leads internal efforts to cultivate a world-class culture considered by employees to be a great place to work. Renowned as a leader with extensive experience in strategy development, organizational design, talent management, employee engagement, compensation & benefits, training & development, and policy implementation, Lieske is part of a senior leadership team driving organizational performance, enhanced customer experiences and employee engagement. Lieske’s background includes senior human resources roles for a variety of successful and internationally renowned brands. Prior to joining SSP America, Lieske was most recently the Chief Human Resource Officer and Chief Information Officer for Liquor Stores N.A. As a member of the executive committee, she led the organization through significant transformation and promoted cross-functional collaboration to drive organizational performance. With YUM! Brands for more than a decade, Lieske held a series of increasingly responsible roles having last held the position of Senior Director of Human Resources where she led the global talent management of c-suite roles across 15 international business units and created platforms for global collaboration. During her tenure at YUM! 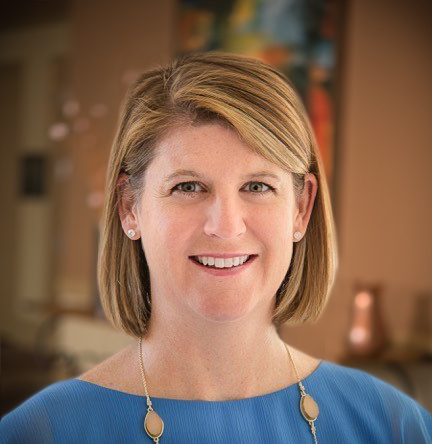 Lieske spent a significant portion of her tenure in the U.S. Division of Kentucky Fried Chicken in a variety of increasingly responsible roles including Director of Human Resource Strategy and Training Design. Prior to her time at YUM!, Lieske was with Swissôtel Management Corporation for 8 years culminating in the position of acting Vice President of Human Resources. While at Swissôtel, Lieske instituted a corporate human resources entity in the newly established New York headquarters where she introduced tools, programs and processes to enhance global employee engagement. Lieske holds a Master of Business Administration and a Bachelor of Science & Technology from the University of Maryland. Tony Montepare leads SSP America’s procurement team providing oversight on the purchasing and distribution of all goods and services across SSP’s North American operations, ensuring quality, value and customer satisfaction are met at every channel. A 30+year food and beverage veteran, Tony has held executive positions in some of the industry’s largest and most successful companies. 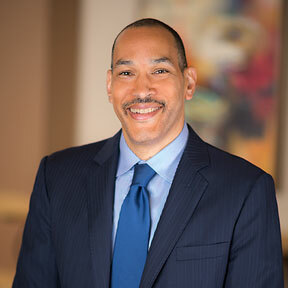 He most recently served as Vice President of Business Needs for the healthcare, business and industry channels of Foodbuy LLC, a member of the global food service management company, Compass Group USA. Tony was part of a leadership team that delivered fifteen consecutive years of successful purchasing results tied to over $3 billion in channel-managed volumes. Prior to Foodbuy and Compass Group, Tony was the Southeast Division Vice President of Procurement and Marketing for Alliant/US Food Distribution. In this position, Tony was a member of the executive committee that established all branded product specifications for the company as well as achieving all financial results. Tony also served as Director of Purchasing for Sysco’s food service distribution operations based in Albany, N.Y. During his tenure there, the Albany distribution center achieved Sysco’s prestigious Master Merchandiser award. A self-proclaimed foodie and avid cook, Tony’s strong entrepreneurial spirit, culinary background and firsthand industry knowledge stems from his roots as the owner and operator of the full-service family restaurant business in upstate New York. He is also a longtime volunteer for the nonprofit organization, Habitat for Humanity. Pat Carroll is the Senior Vice President of Brands and Concepts, responsible for identifying new restaurants to offer to potential airport clients. With more than 20 years’ experience in the food travel industry, Pat is highly regarded for his ability to develop and maintain an extraordinary wealth of national and international relationships so integral to the development of new ideas for the marketplace. Pat has brought an ingenious mix of new, national and regional concepts to North American airports. The development of local brands and concepts which truly reflect the “flavors” of a city or region, has become his trademark. His vast storehouse of franchise knowledge and negotiating expertise has resulted in a creative approach when involving local restaurants in the development process. Leveraging Pat’s industry experience with SSP’s vision has and will continue to successfully revolutionize travelers’ dining experiences across the North American airport marketplace. Prior to SSP America, Pat was Vice President of Branded Concepts at HMSHost. As the Vice President of Design and Construction for SSP America, Paul is responsible for the design and construction of all proprietary, national and local restaurants, ensuring brand standards are consistently achieved. In this role, Paul provides oversight of the design and construction budget, procurement of design and construction services, and management of U.S. and Canadian project teams. He oversees all capital projects and planning related to new business development programs. Paul has an extensive leadership background in design, architecture and engineering, having spent the past 30 years as a licensed, award-winning architect. He most recently held the position of Senior Vice President and Managing Principal for HDR Architecture, Inc. where he managed operations for one of the largest architecture/engineering design firms in the Washington metro area. In this role, he was responsible for the design quality and project delivery for significant corporate, institutional, and government clients. 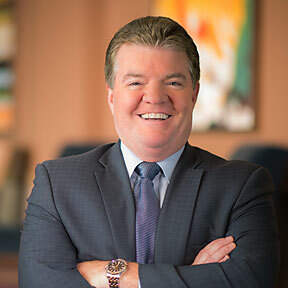 Prior to his tenure at HDR, Paul was a principal at several nationally recognized A/E firms including Leo A Daly, Ewing Cole and The Hillier Group. In these roles, Paul has delivered projects both domestically and overseas, spanning a number of building types including hotels, casinos, restaurants, airports, corporate headquarters, museums, hospitals and secure facilities for a number of government agencies. Paul holds a Master of Architecture Degree from the University of Colorado (1987) and a B.S. in Business Administration from Mississippi State University (1982) and is a Registered Architect in Virginia, Maryland, the District of Columbia and West Virginia. He is a LEED-Accredited Professional and is NCARB-certified. He is a long-standing member of the American Institute of Architects. Robert Maluso has a broad set of responsibilities at SSP America meant to deliver a world-class culinary experience to each customer we serve and support each brand with the care and attention it deserves. Robert leads a world-class culinary team responsible for menus, recipes and nutritional information. He partners with the marketing team to create exciting new proprietary brands and ensure the SSP America brand portfolio remains refreshed and relevant. He oversees SSP America’s food cost and waste management as well as kitchen design and layout. He serves as a culinary point of contact for all local restaurateur partners and chefs and is actively engaged in the pursuit of new business opportunities. As a graduate of the Culinary Institute of America with more than 30 years of culinary experience in catering, fine dining, event management and corporate services, Robert adds a vast knowledge of culinary expertise to the SSP America team. 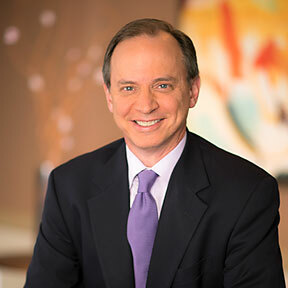 Robert previously served as culinary director for Sodexo, which serves 75 million consumers in 80 countries every day. While with Sodexo, he was responsible for the development of innovative and award-winning concepts, programs, recipes and training materials which supported more than 1000+ corporate services accounts nationally. Prior to Sodexo, Robert served as the Division Executive Chef for Eurest Dining Services, a division of Compass Group. In this role, he supported 525 accounts representing $525 million in revenue. He also introduced new retail concepts with accompanying training materials, quality assurance programs and waste management initiatives. Robert’s prestigious career includes time spent as the Corporate Division Executive Chef for Wood Dining Services, overseeing a portfolio of more than $600 million. While with Wood he also led the implementation of new concepts and the formation of a national recipe database.